In order to bring something unique, not only dusty old stories about forgotten history books, we are happy to present you a special feature of our book. We created a free smart phone application ( downloadable from Google Play store) showing some historical locations (i.e. 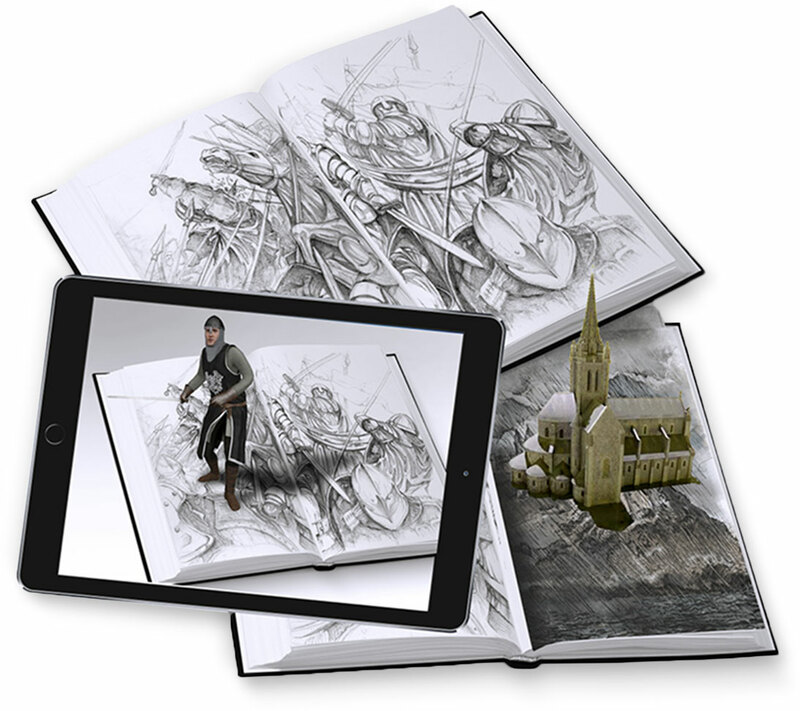 the Ruprechtskirche in Vienna) and interesting characters, (German ritters, Hungarian horseman-archers, Italian cavaliers) presented in 3D in Augmented Reality to give the young readers a better feeling of the story.. UNFORTUNATELY NO POKEMONS ARE INCLUDED! But if you dowload the app – English version is available-, open it, and show your camera the signed pages of the books (please look for the red crescent in black circle, on the right/left margins) you could see additional texts and the graphics in 3D.